Apple has always kept people hooked to their devices by packing them with fresh features and then giving them a pretty face. While this year they went crazy about the features thing with their iPhone 5S, they came up with another device for those who don’t want to spend as much for the 5S. This new budget iPhone was rumored for a while now and was finally unveiled at the Apple event led by Tim Cook at the company headquarters on September 10. Also they launched the new version of their iOS which is the iOS 7. This new iPhone, iPhone 5C is essentially the same as iPhone 5, just in a different skin. They have taken the iPhone 5, put it in a colorful polycarbonate body and that is it. 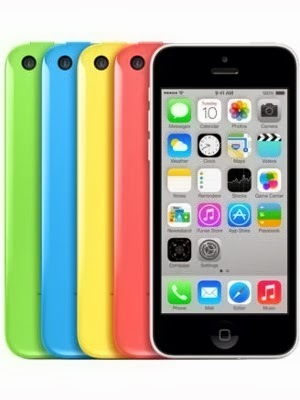 While the iPhone 5 was available in black and white only, this one gets a lot of colour options. The colours on offer are green, white, yellow, pink and blue. They are also offering covers for the device in multiple colours to create contrasting combinations. In United States, the 16 GB version of this device will be available for just $99 with a 2 year contract. If you want an unlocked device, you would have to shell out $549 for the 16 GB version. It could be an important device for markets where people buy devices at the retail price and not with a contract. Until now, apple used to push down the prices of previous models whenever a new device was launched. 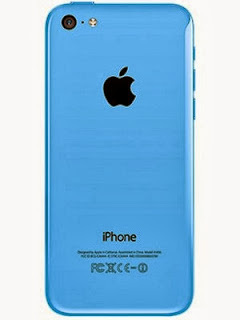 This time however they have killed the iPhone 5 and launched this new funky iPhone instead. This is a bold move to make as while it might earn apple some new customers, it might also push away some customers. In the Indian market, we rarely find devices with a contract and even if the operators provide the device at a contract, it isn’t very convincing. We have already seen Airtel and Aircel try bringing the contract scene in India but it didn’t work very well. They have tried to make the 5C a low cost device but it hasn’t gone exactly the way we expected it to. 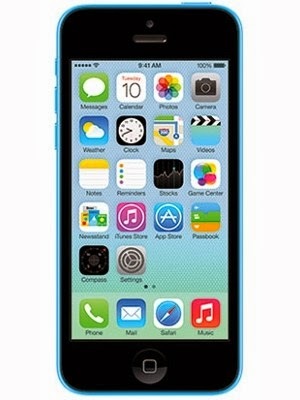 While most people already know what the iPhone 5C is, we give you a closer look at the device. The device is made out of polycarbonate material and while it might not look as premium as the standard version made out of aluminum, it still looks pretty good. The device is a bit fat as compared to the iPhone 5 which is around 7.5 mm thick. This one is around 9 mm thick. Though 9 mm is still pretty slim and as the device size is small, you won’t have any trouble with the thickness of the device. The weight is quite good too at just 132 gms. The back of this device is slightly curved like the older iPhones which looks nice. The device is small so it would be very comfortable to hold and use. The display on this device is the same 4 inch retina display found on the iPhone 5 or 5c. It is an IPS LCD display which they like to call the retina display. It has a resolution of 640 x 1136 pixels which gives a healthy pixel density of 326 pixels per inch. It gets gorilla glass coating to protect it from scratches and an oleophobic coating to keep fingerprints away. The colours are absolutely amazing and the contrast ratios are pretty good too. If we talk about the hardware, the device runs the same Apple A6 chip as on the iPhone 5. The dual core processor runs at a clock speed of 1.3 GHz. It has got 1 GB of RAM and runs the PowerVR SGX 543MP3 GPU. It gets all the sensors you find on the iPhone 5 and nothing has been missed out. The camera is an 8 megapixel unit. It gets the apple 5 element lens and packs in a lot of features. It is complemented by a LED flash to light up the frame. The camera supports video recording in full HD at 30 FPS and you can shoot photos while recording a video. The front camera has a resolution of 1.2 megapixels and has got backlight illumination sensor. It can also record videos in semi HD. The phone uses a nano SIM like the iPhone 5 and you might need to go to your operator to provide you with one. PC connections are handled via the new lightning connector which is a considerable improvement over the previous version of connectivity port. Though if you have a lot of Apple accessories lying around your house, you might not like this change they have made. The phone will run the latest version of Apple iOS which is the iOS 7. Apple has been good with their mobile operating systems and this one won’t be an exception. They have made quite noticeable changes with this version and have focused on multitasking. The interface wasn’t confusing but they have further simplified it to improve the user experience. The Apple app store has got a lot of apps and games like the android one and you won’t miss on anything. You get iCloud service with this device. The phone has got the popular voice assistant Siri to make things easier for you. Now coming back to the pricing of this device, while everyone has been calling this the budget iPhone, at $549 for 16 GB, it is not even remotely a budget device. In India, the prices would translate to 35-36K or maybe even more. You pay a price like this for a device that has been tagged as the ‘affordable one’ by half the world. For that price, we would suggest someone to go for the android alternatives, maybe the HTC One. Or you should bear the extra $100, or whatever it translates to in India and get the iPhone 5S.Also checkout the iPhone 5C price in India.